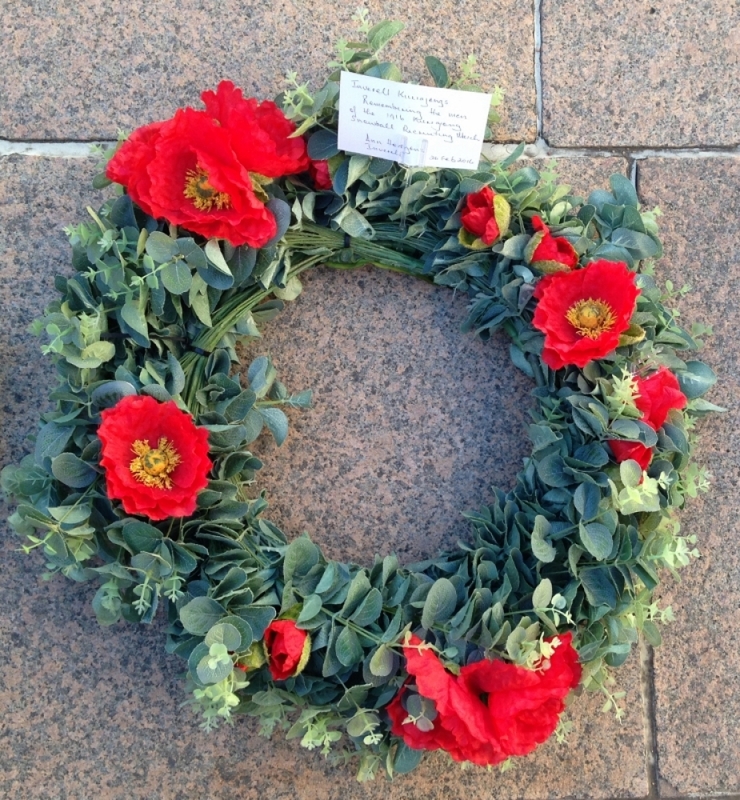 Today marks the centenary of the depature from Inverell of the Second Contingent of the Kurrajongs. Many relatives of these men participated in our re-enactment march on 10 January 2016. Today the Re-enactment Committee will assemble at 7pm at Kurrajong Parade to plant two new Kurrajong memorial trees, one for each contingent. 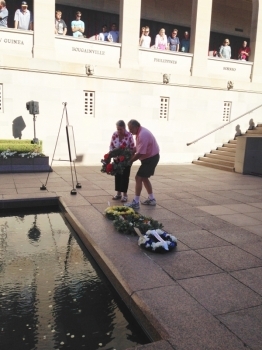 Last Friday, 26th February, Ann and her brother were at the Australian War Memorial in Canberra and laid a wreath during the Last Post Ceremony in honour and remembrance of our Kurrajong men. 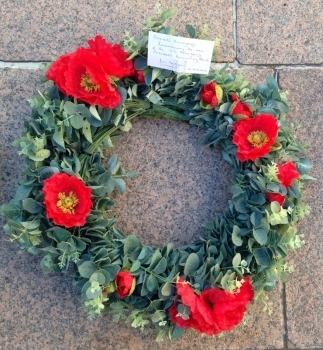 The wreath was supplied by the War Memorial and the card will be kept by the Memorial. 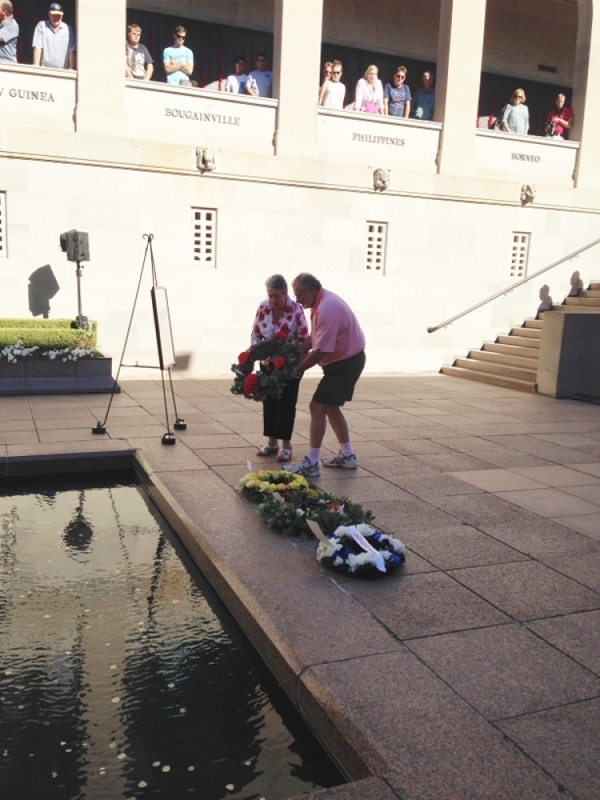 A video of this service will be available on the Memorial's website in about one month's time.